It’s truly amazing to us to see STAR TREK vibrant and growing as it has now passed its incredible 50th anniversary. Feature films with a wonderful cast continue and of course we have a brand-new upcoming television series (finally) to enjoy. The merchandising campaign and products have never been better and the world has grown to love STAR TREK and its themes more and more over time. 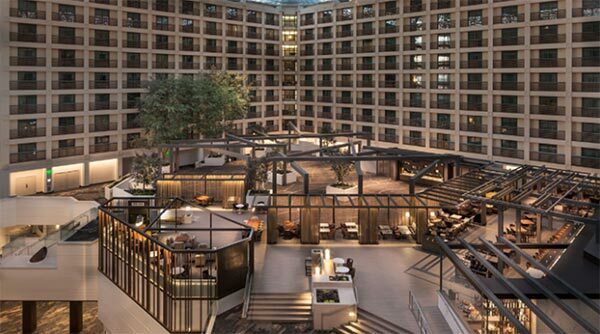 We’re proud of our association with this property that stretches back decades and honors the memory of our early career mentors and friends including Gene Roddenberry and Leonard Nimoy. The BAY AREA has always been a great place for us to bring our events and always turns out in droves to welcome our celebrities who are part of the franchise we’ve all taken to our hearts. With the famed “Creation Difference,” every patron, no matter what type of ticket they purchase, is guaranteed a seat in the theatre. Our goal is to give YOU the absolute very best vacation we can! 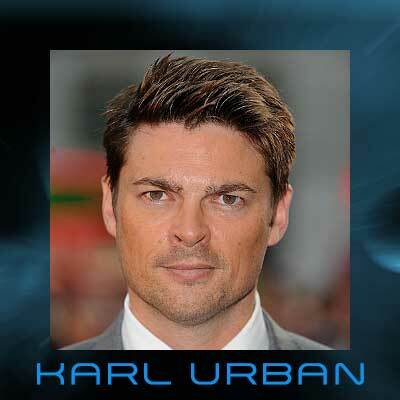 Karl also starred in the TV series, Almost Human, and has appeared in numerous blockbuster films including Riddick, Dredd, RED, Priest, Doom, The Lord of the Rings trilogy, The Bourne Supremacy and the new Thor movie THOR:RAGNAROK. His day of appearance WILL BE SATURDAY, photo ops and autographs will be SATURDAY AND SUNDAY. It is indeed an honor for us to welcome one of the legendary original cast members that started it all. Be in the house to welcome this true popular culture icon! 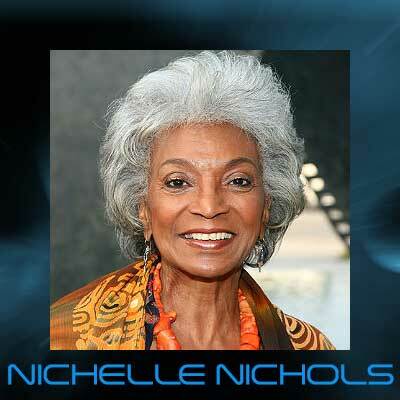 Nichelle will be on hand to autograph and do photo ops, SATURDAY AND SUNDAY. Ms. Nichols is not scheduled to appear on stage. 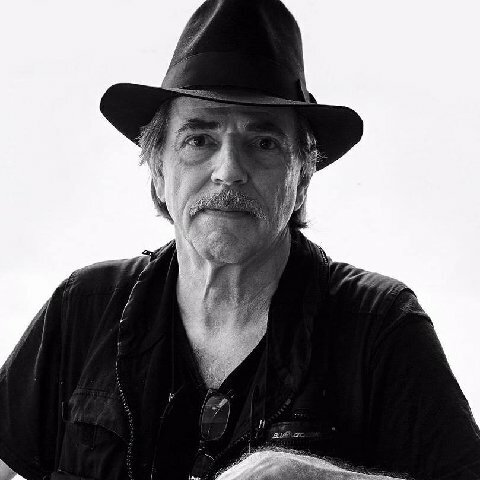 Jonathan will be appearing on stage Sunday and meeting fans and signing autographs at his table in the vendors room for a nominal fee of his choosing on Saturday and Sunday. Gates will be appearing on stage Sunday and meeting fans and signing autographs at her table in the vendors room for a nominal fee of her choosing on Saturday and Sunday. Marina will be appearing on stage Sunday and meeting fans and signing autographs at her table in the vendors room for a nominal fee of her choosing on Saturday and Sunday. Michael will be appearing on stage Sunday and meeting fans and signing autographs at his table in the vendors room for a nominal fee of his choosing on Saturday and Sunday. Denise will be appearing on stage Sunday and meeting fans and signing autographs at her table in the vendors room for a nominal fee of her choosing on Saturday and Sunday. Sept. 7, 2017: We have just been notified that John de Lancie is unable to appear at this convention due to just landing stage work. Those with Mr. de Lancie’s photo op ticket will be issued a voucher at the convention that will be good for any autograph that Creation sells, any photo op, or any Creation produced merchandise on sale at the convention. If you would prefer a VOUCHER please send THE VOUCHER to Creation, 217 South Kenwood, Glendale, CA 91205 Attention: Ed within one month of the close of the convention. We regret the inconvenience and hope to have John back with us soon and wish him the best of luck in his new stage production. Appearing tentatively Sunday on stage and in the vendors room. 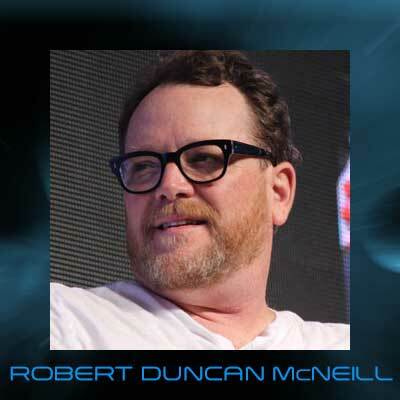 Robert will meet fans at his table in the vendors room and offer his autograph for a nominal fee of his choice. John will be appearing on stage, signing autographs and taking photo ops with fans on Saturday. He will also be signing for Gold Patrons. 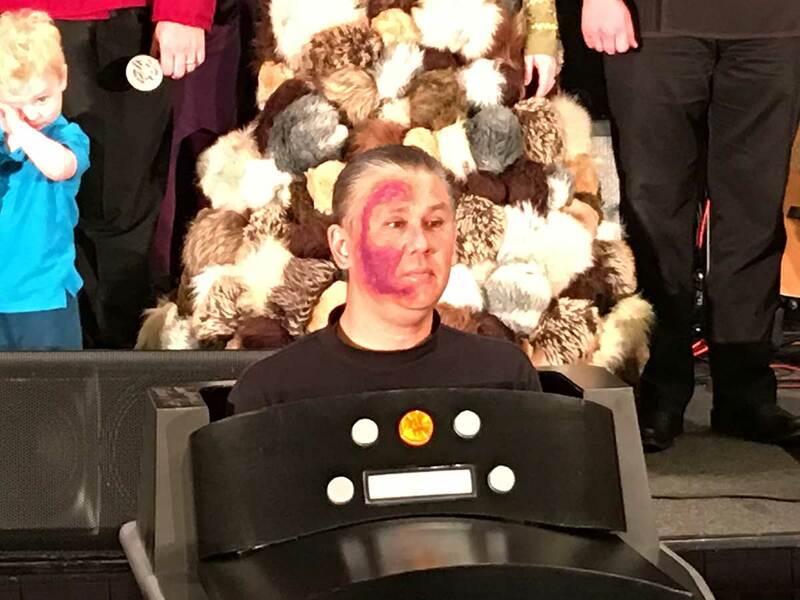 Come see Suzie Plakson be transformed into K’Ehleyr live onstage by makeup artist John Paladin! (Fasten your seatbelts for a surprise, and if you know what the surprise is, shhhh - TELL NO ONE.) SATURDAY, the day Suzie will be doing autographs and photo ops as herself and in facial make up as K’Ehleyr, Worf’s mate. On Sunday, Suzie will have a table in the vendors room where she will also sign autographs and you can get autograph tickets at the Creation Autograph sales table and bring the tickets to her at her table and she will sign. She will also do photo ops on Sunday as herself and you can get tickets for that also at the Creation Photo Op Sales Tables. Eric will be appearing on stage, signing autographs and taking photo ops with fans on Saturday. He will also be signing on a complimentary basis for Gold and Silver Patrons and doing a special “show” performance with Robin Curtis. Robin will be appearing on stage, signing autographs and taking photo ops with fans on Saturday. She will also be signing on a complimentary basis for Gold and Silver Patrons and doing a special “show” performance with Eric Menyuk. Gary will have a table to meet fans and offer his autograph for a nominal fee. Sean will have a table to meet fans and offer his autograph for a nominal fee. 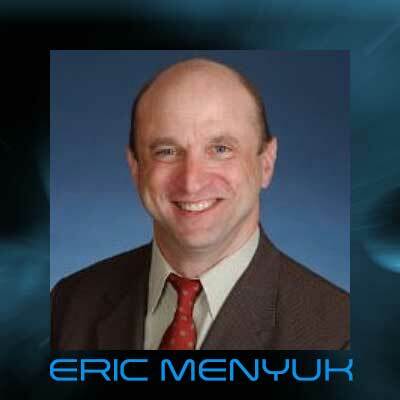 Gene Roddenberry’s right-hand man for over 15 years. 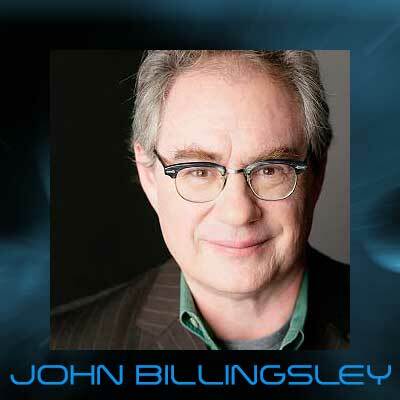 He will be doing a special presentation each day on Star Trek: The Next Generation to celebrate its anniversary! October 4, 2017: We have been informed due to work commitments that unfortunately, ALICE KRIGE and DANIEL DAVIS are not able to attend this convention. For Gold patrons, you will be receiving a pre-autographed photo of either Kate Mulgrew or Robert Beltran in place of Alice Krige’s autograph. Those who have separate Alice Krige autograph or photo op tickets or Daniel Davis photo op tickets may turn in your ticket at registration for a VOUCHER. Your Voucher is good for any available autograph and photo ops sold by Creation, admission tickets and Creation produced merchandise. If you would prefer a refund, please send the VOUCHER to Creation Entertainment, 217 S. Kenwood St., Glendale, CA 91205, Attn: Ed within ONE MONTH of the convention. 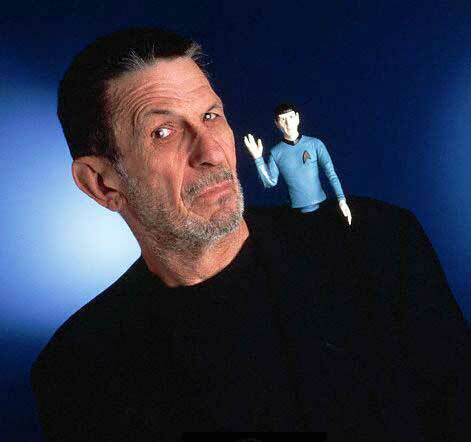 We are very honored to be screening for our audiences the last convention appearance of Leonard NImoy, which took place in Chicago where Mr. Nimoy was surrounded by his family and some of his greatest fans. We know you will find this film incredibly moving, and we thank Leonard’s family for allowing us to show it. Day of screening to be SUNDAY. Direct from our huge convention in Las Vegas, the ground breaking series that changed television forever is honored in this presentation that looks at the making of TNG and it is being narrated by Richard Arnold who served as Gene Roddenberry’s right hand man during the creation and early production of the series. Don’t miss the chance to bring down the house for this marvelous series which brought so many millions to Star Trek for the very first time. Day of presentation: Saturday. Please don’t confuse this with the special reunion show set for Saturday Night. 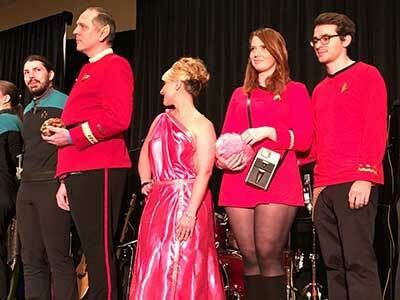 WARP 11 IS OUR HOUSE BAND BOTH DAYS ON STAGE TO INTRO GUESTS AND AMP UP THE CONVENTION EXCITEMENT! Warp 11 is not easily classified. 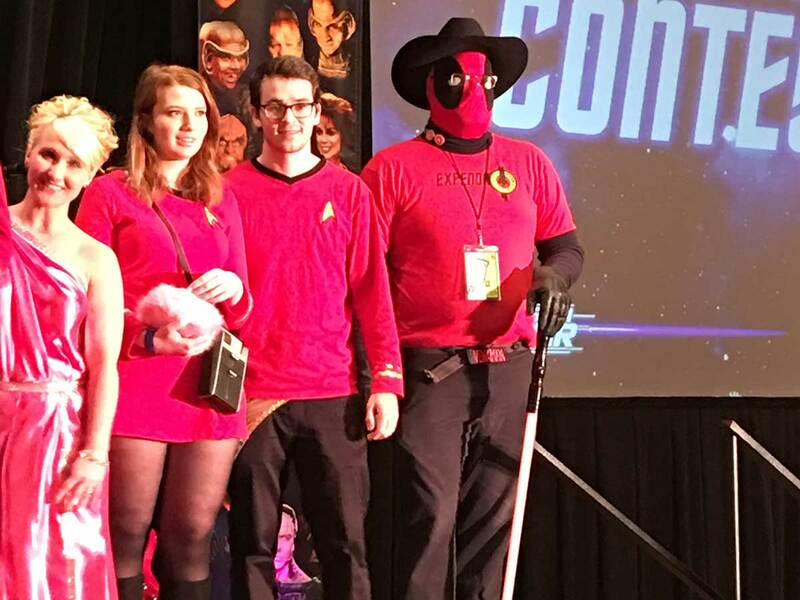 At first glance, their torn Federation uniforms might lead you to believe it’s all just a farce. 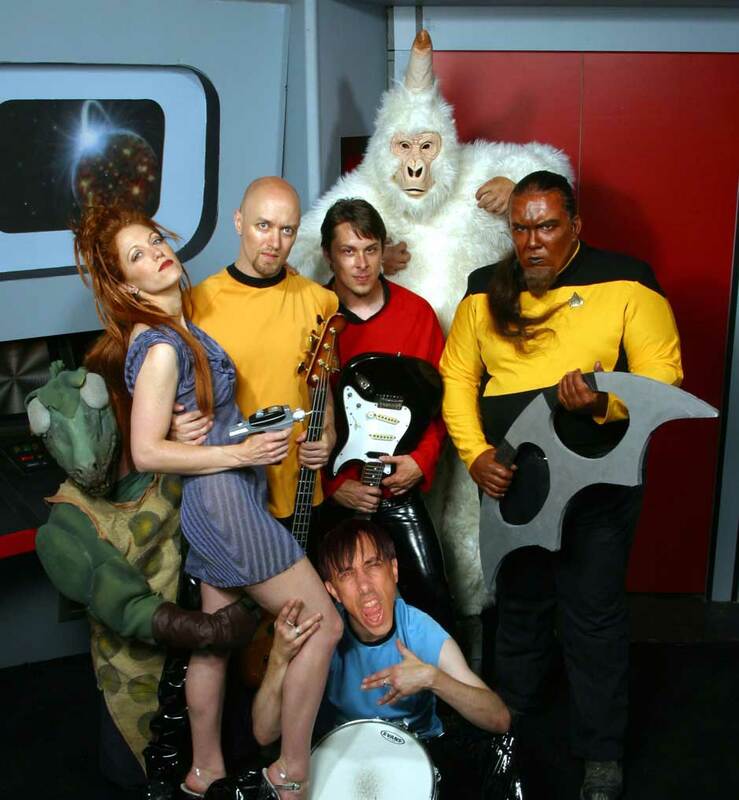 But Warp 11 is no parody band. They play serious original music amplifying the raw energy of Green Day, the wit of Weezer and the hard driving tradition of AC/DC into fresh songs they beam directly into your positronic matrix. Warp 11 is also not a tribute band. While the band members are astute Sci-Fi and Fantasy fans, fully engaging in the occasional D&D game, their music is too honest and original to be considered a tribute. Instead, Warp 11 lyrics are clever social commentary on the impacts of genre media franchises - a humorous look that is both celebratory and playfully self-deprecating. Based in Northern California, the band members spent years in several local punk and hard rock bands honing their musical chops. Their rock-god prowess is demonstrated at packed live gigs where the band has built a strong, loyal following. Their latest release (CD number seven in their arsenal) is entitled “Rock Out With Your Spock Out” and continues their long-standing tradition of Star Trek inspired Rock N’ Roll. It’s our great pleasure to welcome John Paladin, talented make-up artist supreme, to the convention, where he will have a table all weekend. Also, John will be on stage Saturday working with Suzie Plakson and talking about doing cosplay make-up. Don't miss your chance to learn from the master! One of the coolest highlights of the convention in CHICAGO is the running of fan produced Music Videos honoring STAR TREK, its themes, legacy and characters. 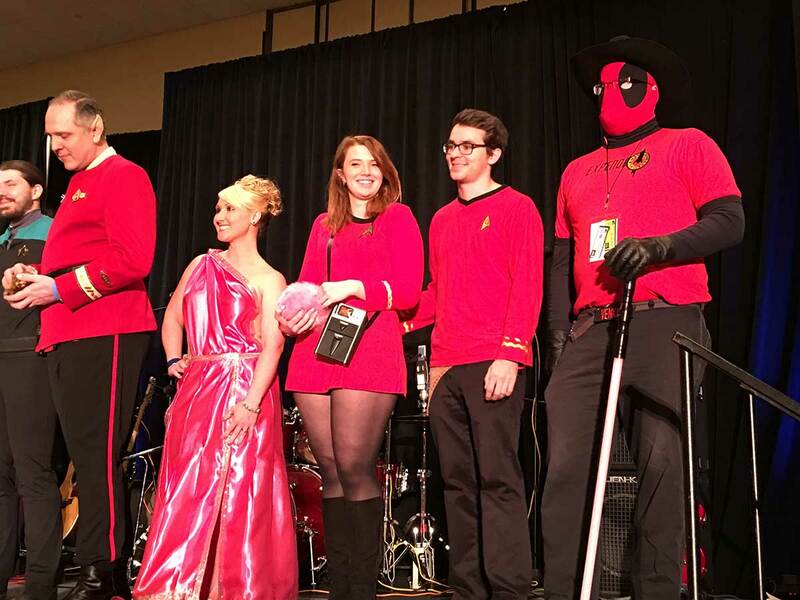 If you are a talented video editor now is your chance to show off your creativity and vie for prizes at the SAN FRANCISCO Continuing Voyages Convention. Note: Due to the high volume of entries for our Music Video Contests, we are forced to limit entries to those people actually attending the specific show they are entering for. 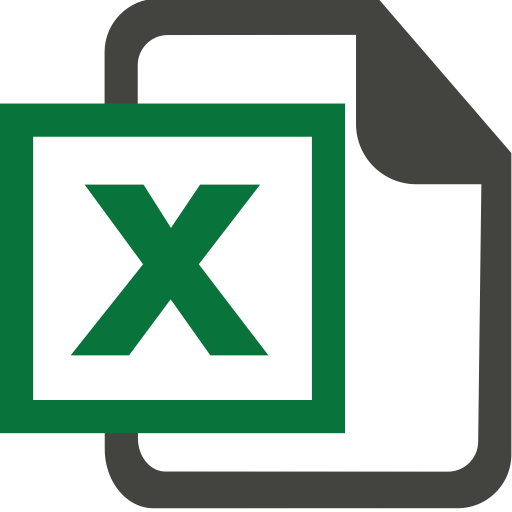 You do not have to be present for the actual showing of your video, but you must claim your award on site before the end of the weekend or your award will be forfeited. URGENT: PLEASE NOTE THAT COMPETITION CLOSES FORTY DAYS PRIOR TO THE ACTUAL OPENING CONVENTIONS, NO EXCEPTIONS! Please note that fans should not use footage from other than the shows we are honoring even if it features the stars of the current show the convention is about. PLEASE SEND IN JEWEL CASE TO AVOID DAMAGES. Lots of Star Trek and genre merchandise is on sale and your collection is waiting for new stuff! Come to browse, come to buy, come to wander: it all happens in the SAN FRANCISCO Convention vendors room! Vendor tables at the Continuing Voyages Convention are $350 for the entire show. 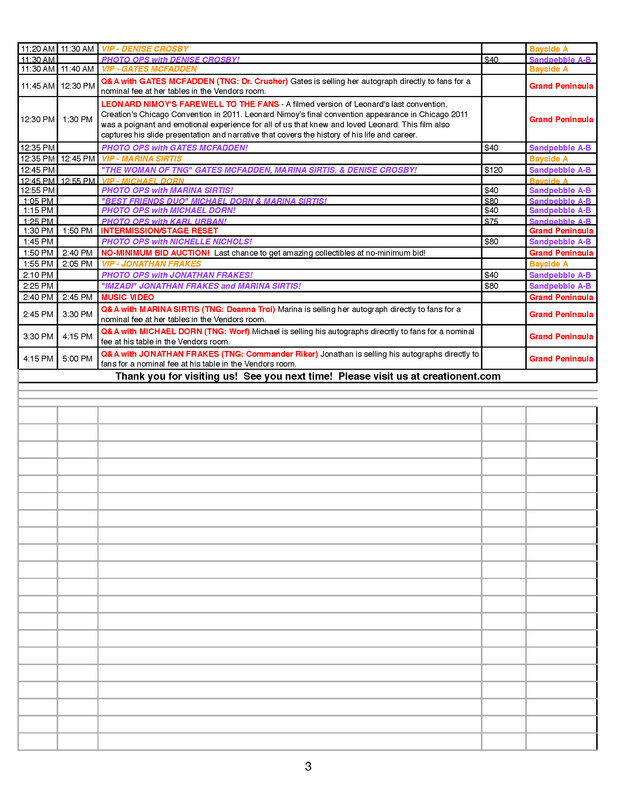 You get one 2 1/2 by 6-foot table plus two full convention VENDORS tickets which allow you in to the vendors area during set up and close down times. If you are interested in attending the convention as a vendor in the dealers room click on over and reserve your tables early as there is limited space: http://www.creationent.com/dealers.htm. 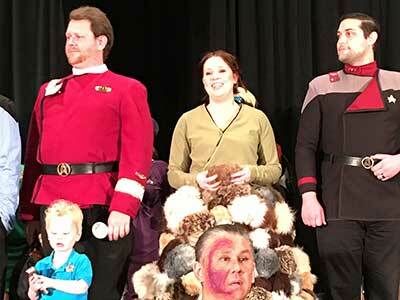 THE BAY AREA RULES WHEN IT COMES TO INVENTIVE STAR TREK COSPLAY! 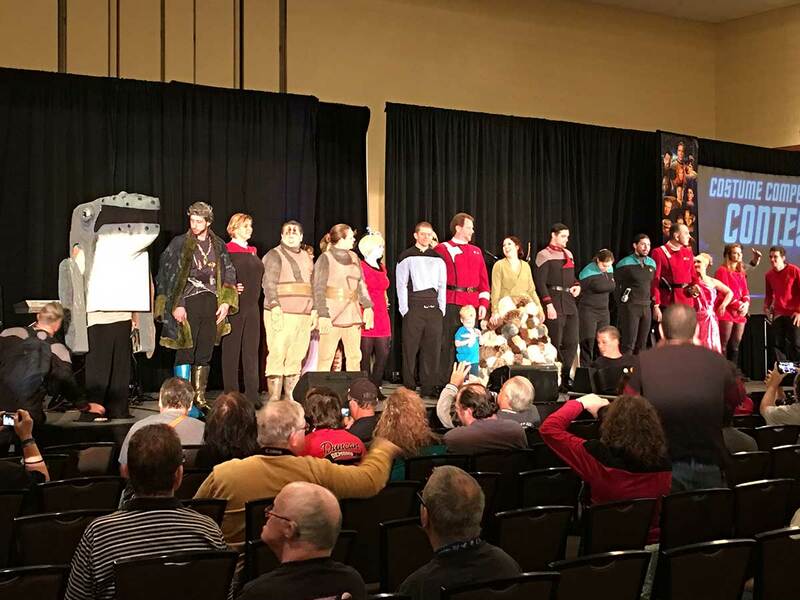 An over 45 year tradition at Creation Conventions, Star Trek fans get to use their creativity and skills by entering the famous Star Trek Costume Contest set for Saturday and open to all attendees! No need to pre-register, just come on down and be in the audience as your fave character (or make up your own)! Good luck to all as you vie for a $250 first prize, but everyone wins something. Our Star Trek: The Next Generation cast members coming to the convention join forces together on stage for a free-wheeling hilarious entertaining time for all. Michael Dorn, Marina Sirtis, Gates McFadden, Denise Crosby and Jonathan Frakes all on stage at once: It will be hilarious and a time to remember. This takes place SATURDAY early evening and is included (with the same seat) in GOLD and SILVER packages and also available as a separate general admission ticket (called an Ensign ticket). These SATURDAY NIGHT ENSIGN GENERAL ADMISSION TICKETS are ONLY a ticket for Saturday Night’s Next Generation reunion and not for Saturday daytime’s convention. Your daytime Saturday convention ticket does NOT include this reunion. Guests for this event are tentative and subject to change. 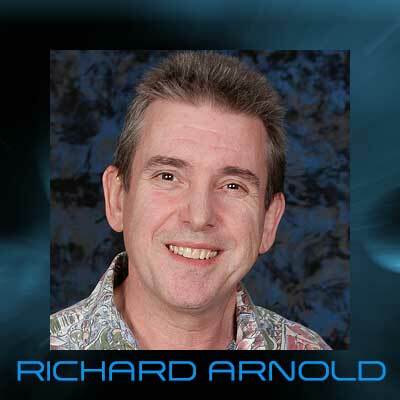 On Sunday of the Convention Richard Arnold will be leading a presentation that looks at the life and careers of those talented performers who have left us this past year but whose memories remain with their work on the over fifty year Star Trek franchise. MAKE SURE TO BE ON OUR STAR TREK/SCI-FI E-MAIL NEWSLETTER LIST TO GET ANNOUNCEMENTS ABOUT STAR TREK/SCI-FI EVENTS! 1) The very best reserved seating for our daytime main auditorium events, both days! Great for photographers and with our ticket ordering system you get to pick your actual seat in the theatre... be close to all the action, reserve as early as possible! 2) Complimentary in-person autographs from attending celebrities KARL URBAN, SUZIE PLAKSON, JOHN BILLINGSLEY, ERIC MENYUK, ROBIN CURTIS and ROBERT DUNCAN McNEILL. You will also receive a complimentary pre-signed autograph from Robert Beltran or Kate Mulgrew in place of Alice Krige’s autograph. This benefit alone is worth a substantial portion of the price of the Gold Package so you can tell what a great deal this is. This list is tentative and subject to change. 4) Preregistration for Gold Patrons (you get registered first so you can hit the vendors room earlier than other patrons). 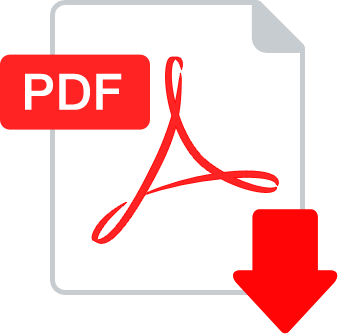 Preregistration is not a necessity, it is a convenience, and usually takes place the night before the convention or the morning of the first day. 5) Wristbands for immediate entrance without waiting in line once you come through the first time. 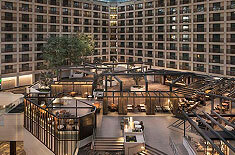 6) Admission to our vendors room. 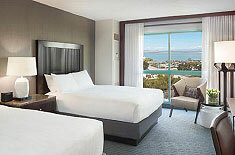 7) The right to reserve the same or better seat for 2018 BAY AREA Continuing Voyages Convention if applicable. 8) AND THE BEST OF ALL: you get to keep your same seat for the Saturday Night all-star reunion of the cast of STAR TREK: THE NEXT GENERATION on the 30th anniversary: super-cool and you’ll be there to join the fun from a GREAT SEAT!!! Guests for this event are tentative and subject to change. THERE IS LIMITED SEATING FOR THIS SPECIAL CONVENTION WHICH HAS SOLD OUT A NUMBER OF YEARS IN A ROW. THIS IS AN EARLY BIRD PRICE WHICH MAY RISE, SO PLEASE ORDER EARLY! The SILVER WEEKEND PACKAGES have to be one of the great LIVE entertainment bargains around, themed about a subject we all love. 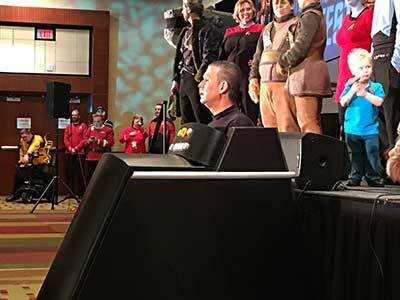 It is two full days of star-filled STAR TREK festivities. Not only are you guaranteed wonderful reserved seats for both daytimes of the convention, you also get to enjoy all of our special guests live on stage during the day without extra waiting or worrying about getting into the theatre to see who you want! 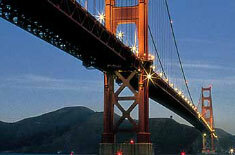 AND this show in SAN FRANCISCO is bound to be fun with all the latest activities in the Star Trek universe! 1) Wonderful reserved seats in the main theatre where all our major guests appear BOTH DAYTIMES (programs and guests different each day) and you see all the events, contests, theatrical performances, auctions, music videos and much more too from that same seat! These seats are YOURS, come and go, all daytimes Saturday and Sunday. They are placed behind or to the side of the Gold Weekend Patrons. 2) Complimentary in-person autographs with amazing guests including KARL URBAN, SUZIE PLAKSON, JOHN BILLINGSLEY, ROBIN CURTIS, ROBBIE DUNCAN McNEIL and ERIC MENYUK. That's right: you get all these in-person autographs when you "GO SILVER WEEKEND.” NOTE: this list is tentative and subject to change. 3) Amongst the first to get autographs: we call autographs row by row: you are in great rows, you get the idea! Go up to meet the stars and get in-person autographs right after our Gold Weekend Patrons. 4) FRIDAY Night Preregistration: Get set with your pass and wristband for the weekend before other patrons and you'll also get first crack at the exclusive merchandise! 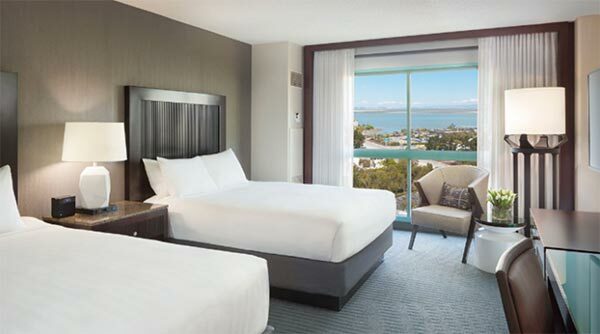 SILVER Weekend Package Registration takes place right after Gold Weekend Patrons and Friday night preregistration times will be posted on our website the week of the convention. Note: Preregistration is not a necessity, you are welcome to arrive anytime during regular registration hours. 5) Wristband access: We have special color-coded wristbands and collectible lanyard credentials for Silver Weekend package holders; once you get set you don't need to wait again! 7) With our new pick your own seat floor plan system you actually get to select the seat you'll get both daytimes. HERE’S A COOL WAY TO ATTEND BOTH CONVENTION DAYS from the same reserved seat in the theatre and of course the vendors area. This option does not include autographs, photo ops nor the Saturday Night Reunion Celebration of The Next Generation (but nominally priced seats are available for just that show). The Next Gen stars will be on stage either separately or in pairs throughout the weekend days on Saturday or Sunday. Here’s the most economical way to attend both days of the convention. You get a guaranteed non-reserved seat in the theatre during the day to see all the guests and events plus admission into the vendors room. PRICE IS ONLY $100 FOR BOTH DAYS OF STAR TREK FUN! Autographs and photo ops and the Saturday Night Next Gen Reunion are not part of this package and must be purchased separately if desired. This ticket option is the best way to attend any one (or two) days of the convention. You get a reserved seat which you pick in our theatre, plus you also get that same seat all day, come or go. These seats are not reserved for any evening function. Autographs and photo ops are not part of these ticket options, nor is the Saturday Night Next Generation 30th anniversary party; that must be purchased separately if desired. 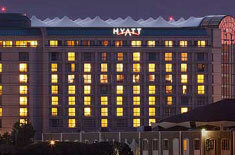 Here’s the most economical way to attend any one or two daytimes of the convention. You get a guaranteed non-reserved seat in the theatre during the day to see all the guests and event plus admission into the vendors room. Autographs and photo ops are not part of this package and must be purchased separately if desired. Children 6 and under (please bring proof of age) will be free. Other than that all kids are required to hold a full-priced ticket for seating. Autograph and Photo Op tickets do not include admission to the convention. You must have an admission ticket for the convention in order to redeem autograph and photo op tickets. Photography is not allowed during the autograph sessions. One of the coolest things about the convention is the chance to get in-person autographs on the item of your choice (you can bring something from home or purchase a photo or souvenir at the convention). At this particular show, due to popular demand, many of the stars will be present throughout the majority of the weekend, at tables in the vendors room, where you can purchase your autographs directly from them. Those stars participating in that way are noted below. THANKS! KARL URBAN at his table, Saturday and Sunday. He has chosen to charge $60 an autograph and his signature is included in Gold AND Silver Packages. Just bring your GOLD or SILVER LANYARD CARD and wristband up to Karl’s table and he will sign an item for you as part of your Gold or Silver Package: you can’t beat meeting one of world’s leading genre stars and getting an in-person autograph at the same time! OF COURSE all others are welcomed to purchase his autograph too! NICHELLE NICHOLS This celebrity is signing at their table in the vendors room at a nominal fee of their choosing on SATURDAY and SUNDAY. 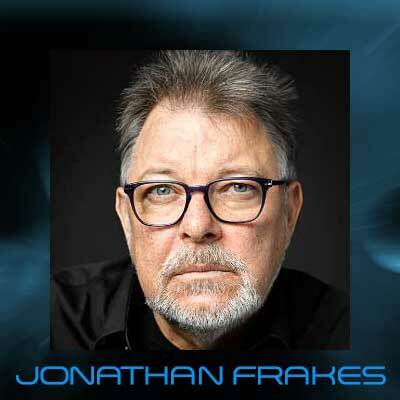 JONATHAN FRAKES This celebrity is signing at their table in the vendors room at a nominal fee of their choosing on SATURDAY and SUNDAY. 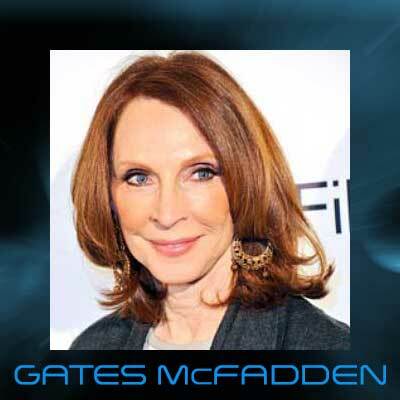 GATES McFADDEN This celebrity is signing at their table in the vendors room at a nominal fee of their choosing on SATURDAY and SUNDAY. MARINA SIRTIS This celebrity is signing at their table in the vendors room at a nominal fee of their choosing on SATURDAY and SUNDAY. 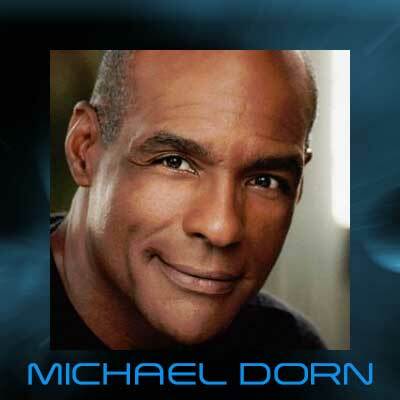 MICHAEL DORN This celebrity is signing at their table in the vendors room at a nominal fee of their choosing on SATURDAY and SUNDAY. 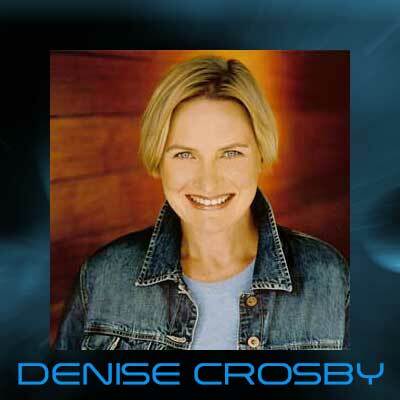 DENISE CROSBY This celebrity is signing at their table in the vendors room at a nominal fee of their choosing on SATURDAY and SUNDAY. 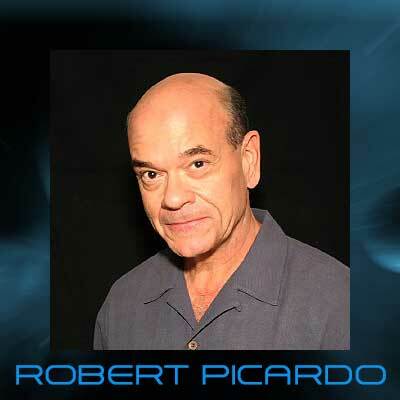 ROBERT PICARDO This celebrity is signing at their table in the vendors room at a nominal fee of their choosing on SATURDAY and SUNDAY. 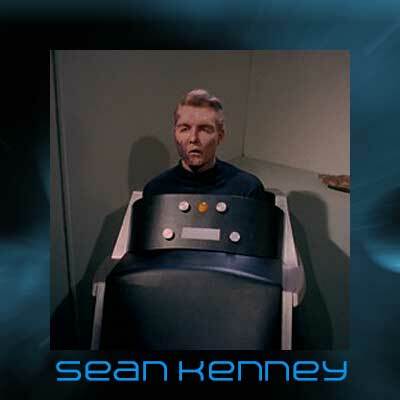 SEAN KENNEY will have a table to meet fans and offer his autograph for a nominal fee. 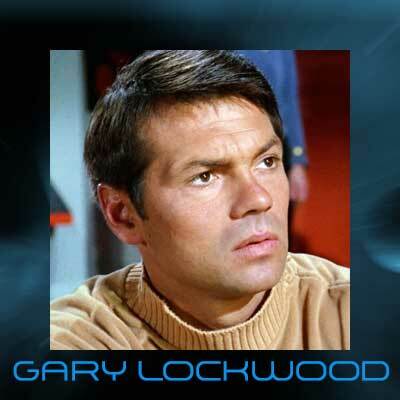 GARY LOCKWOOD will have a table to meet fans and offer his autograph for a nominal fee. Those signing as part of Gold and/or Silver Packages will be denoted within the benefits of those packages. So please don’t order an autograph if you already get it complimentary as part of your packages! Thanks and have fun! 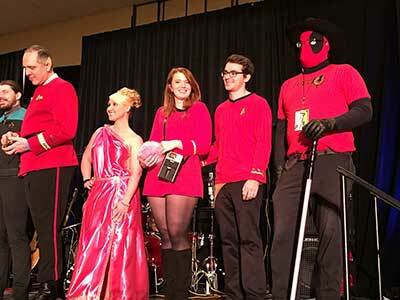 One of the coolest experiences at the convention is having your photo taken with famous Star Trek celebrities. Creation Entertainment's staff photographers are acknowledged as the best by far in the fan field and we make both our attendees and the celebrities feel super comfortable. So get yourself ready for a souvenir simply like no other. 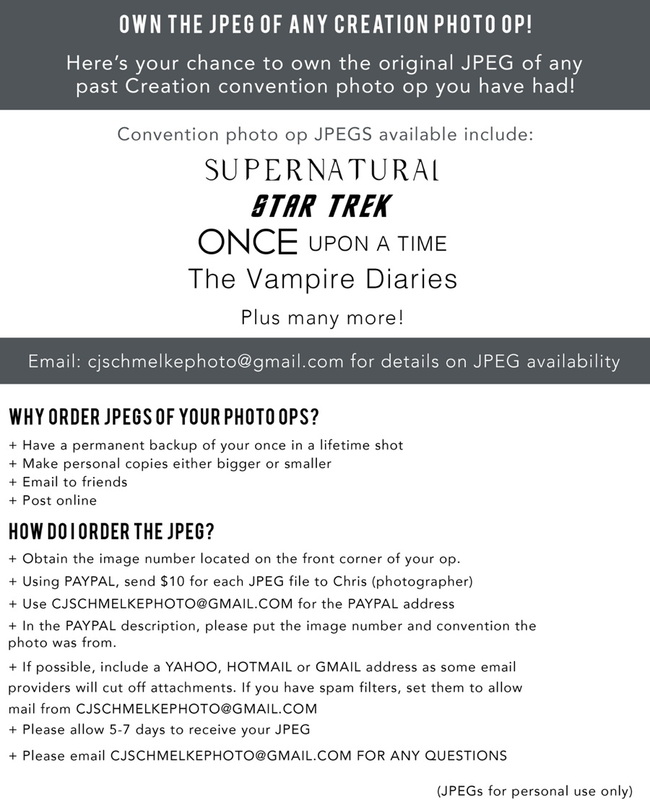 Please visit our FAQs on Creation Photo Ops. 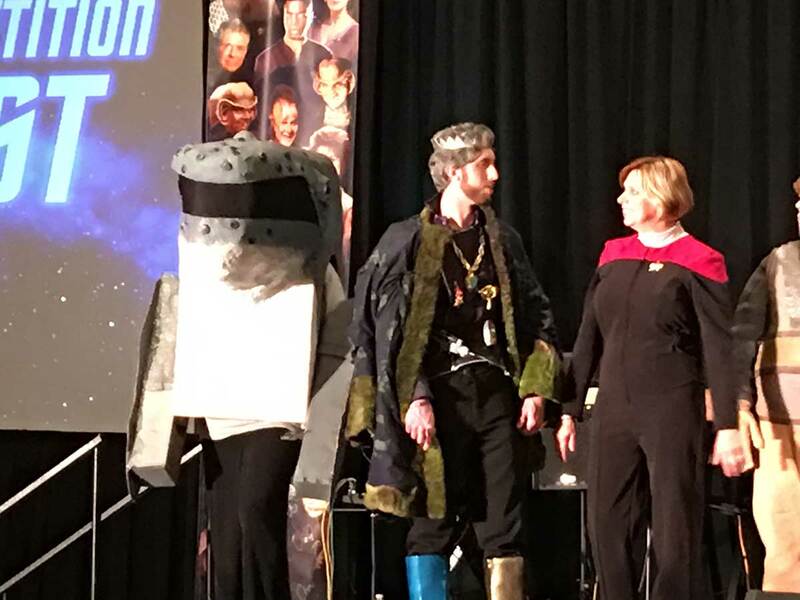 Note that actual times for the convention usually are about 10 a.m. to 6 p.m. Saturday, with evening Next Generation Reunion panel early evening, and Sunday 10 a.m. to 6 p.m. These times are tentative of course because they become dependent on the actors’ itineraries and flight schedules and we don’t get those until the last week or two. 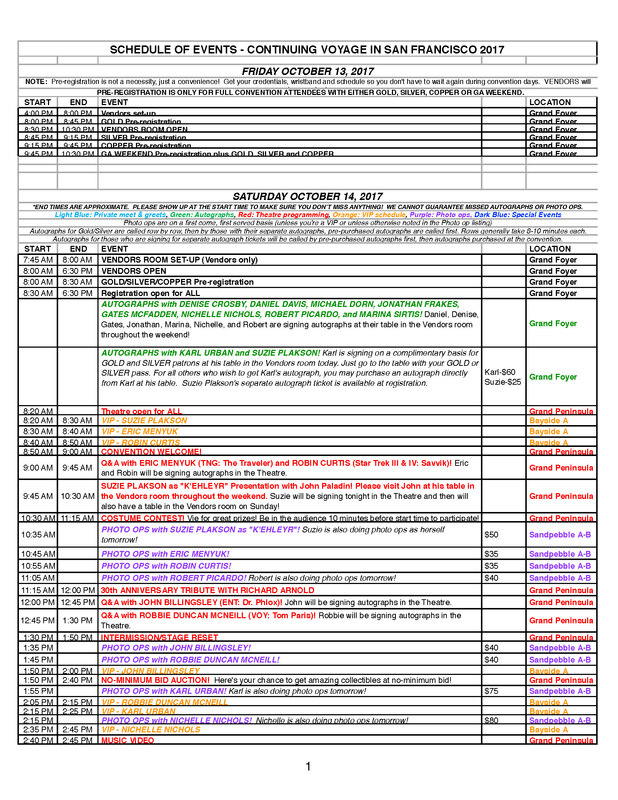 We always post the complete schedule here Weds. 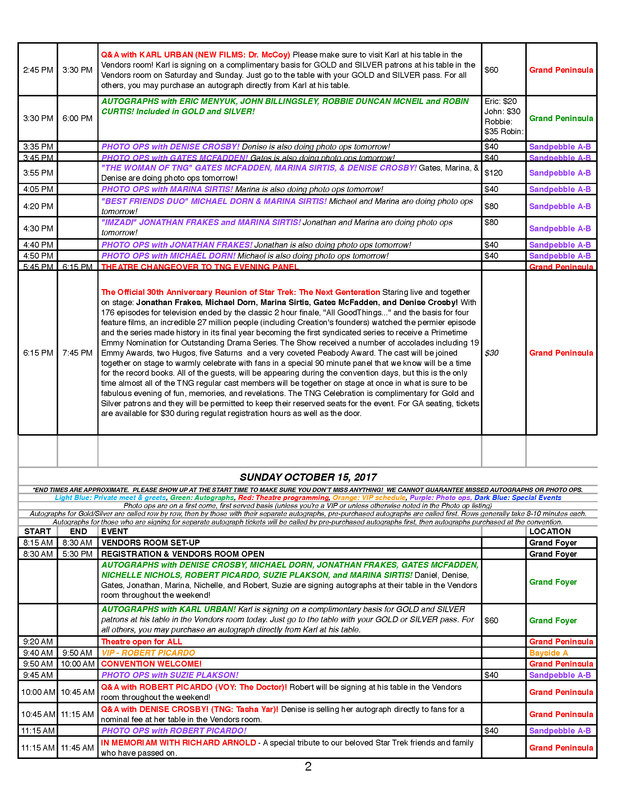 afternoon Pacific Time prior to the convention, and we most often do preregistration (not a necessity, but a convenience) to get our full package holders credentials the night before (and also vendors room preview, early crack at autographs, photo ops, etc. that are still available and/or available through Creation). We tentatively will have preregistration on Friday night, more info on that to come.